In between touring the East Midlands, travelling up to Berwick, and stopping off in Horley on my way out the country, I also found time this summer to visit the attractive Lake District market town of Penrith – a viable day trip from here on Tyneside. 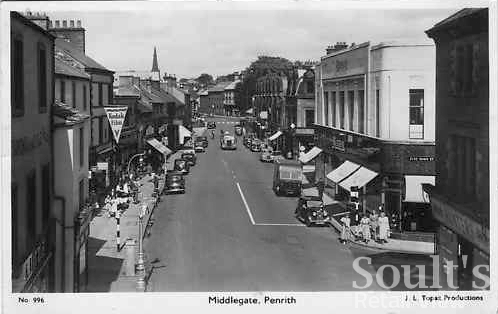 Regular followers of this blog will barely be surprised to hear that Penrith’s former Woolworths (#416), opened in Middlegate in 1930, not only bears all the architectural hallmarks of an old Woolies, but has also been taken over by the increasingly ubiquitous B&M Bargains. 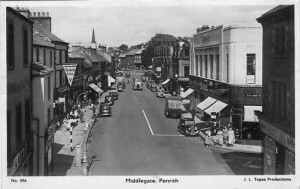 You can just about make out the Woolworths building in this 1950s postcard of Middlegate – on the left-hand side of the street, partly obscured by a Kodak banner. 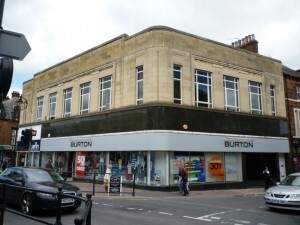 The impressive property opposite Woolworths is Penrith’s fine Burton menswear building, which, happily, is not only still standing but also still houses – at least in part – a branch of Burton. However, the person who thought it was a good idea to remove the store’s original logo (which is still just about visible), and to insert a second, lower fascia below the original black marble, deserves to be severely ticked off. 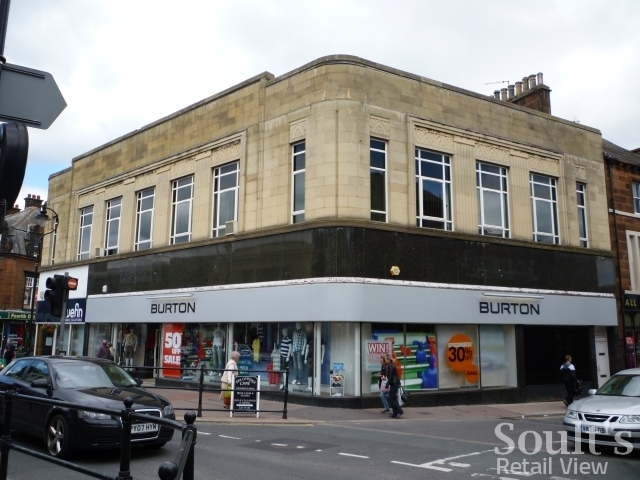 So many purpose-built Burton buildings have been disfigured by ill-considered alterations, and this is a great pity. Perhaps one day this elegant building’s proper proportions can be restored. Back to Woolies though, and Cumbria has the somewhat unusual distinction, nearly two years on from the retailer’s collapse, of seeing all nine of its former Woolworths stores with new tenants. Running through them, the list reads like a roll call of those businesses that have been most active, across the UK, in snapping up former Woolies sites. It is notable too – and reflective of our times – that all but one of those nine stores now houses some form of discount retailer. 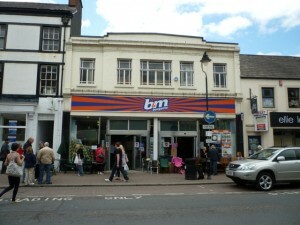 The county’s oldest Woolworths store, in Carlisle (#159), has also become B&M Bargains, while Kendal’s (#438) has been take over by Home Bargains, and Keswick’s (#938) by the growing Mountain Warehouse outdoor chain. 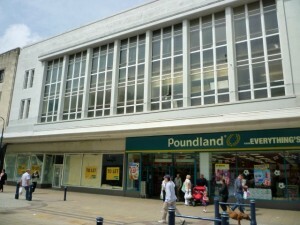 In the south of the county, Barrow’s Woolies (#242) is now Poundland while Ulverston’s (#478) is a Tesco Express – the only ‘non-discount’ retailer among the collection. Over in west Cumbria, Maryport’s former Woolworths (#618) has been replaced by The Original Factory Shop, and Workington’s (#382) by Sports Direct. In the last few months, Whitehaven’s old Woolies (#253) has become the last to be taken over, one half occupied by Poundland, and the other – somewhat controversially – by a British Heart Foundation furniture store. Even in comparison to other Cumbrian towns, the inhabitants of Whitehaven can be forgiven for feeling underwhelmed by what now occupies one of their town’s (formerly) largest retail units. The other issue is how Corrie star Andy Whyment ever has time to tread the cobbles in between attending Poundland grand openings. As you may recall, I’ve cautioned against dividing up old Woolworths units before. 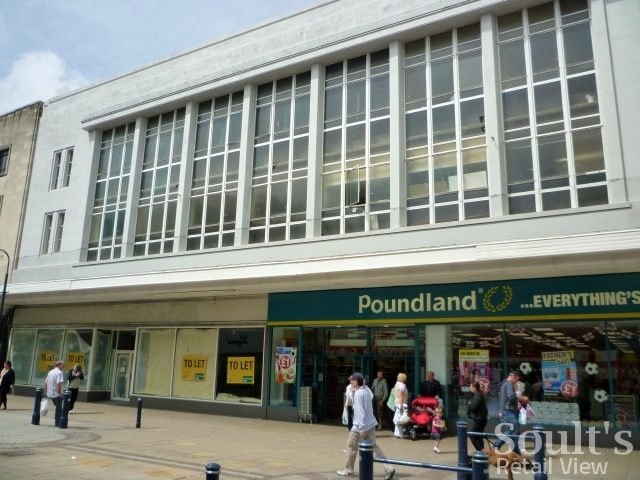 South Shields, for example, has gained a decent-sized Poundland – opened by Andy’s equally busy colleague, Jennie McAlpine – but still has a large chunk of the building that shows no sign of being let. Would the unit as a whole have been more attractive to potential tenants? I wouldn’t bet against it. Indeed, news from Caernarfon yesterday gives hope that a long-empty Woolies can be reoccupied without having to resort to carving it up. Back in July, I blogged about how the store – #417, and opened as a Woolies at almost exactly the same time as Penrith’s – was one of the last in North Wales to still be empty. Meanwhile, plans to convert the building into two shops, with offices and an apartment above, had come to nothing. 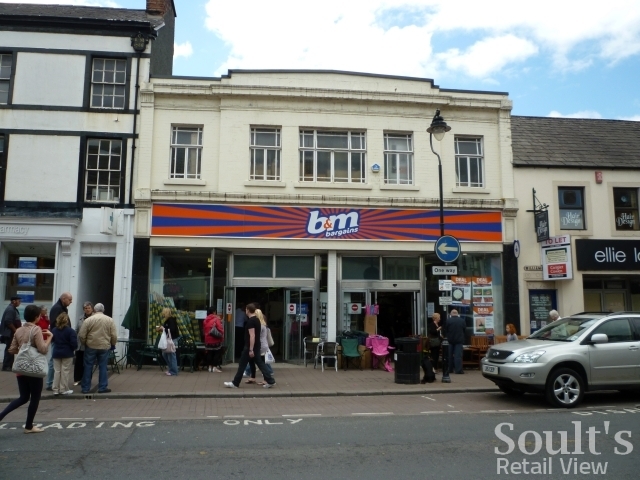 Now, however, The Original Factory Shop is not only taking over the whole of the property’s ground floor, but is also going to trade from upstairs. It may have taken a while to happen, but I can’t help thinking that Caernarfon’s outcome, rather than Whitehaven’s, will ultimately be more beneficial for the viability of its high street. I understand when retail units are split up in right value locations (Northumberland Street Newcastle for example) but in places where the high street foot fall is lower (south shields) it never seems to work. Landlords just trying hard to max out on £££’s i guess but actually the empty units always make the high street look worse.